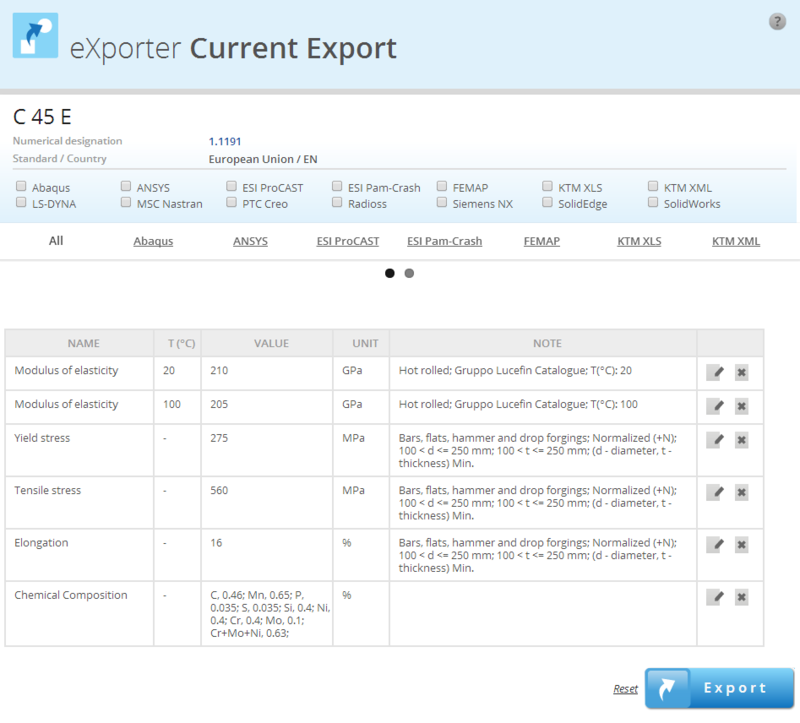 eXporter is the add on module which primarily helps bridge the gap between data source and computer aided engineering (CAE) software. Whether you want to move data from Total Materia directly to CAE software or simply export in excel or .xml, eXporter provides all the functionality you need. In a form of a simple 3-step wizard, it provides multiple-format data exports in mere seconds. 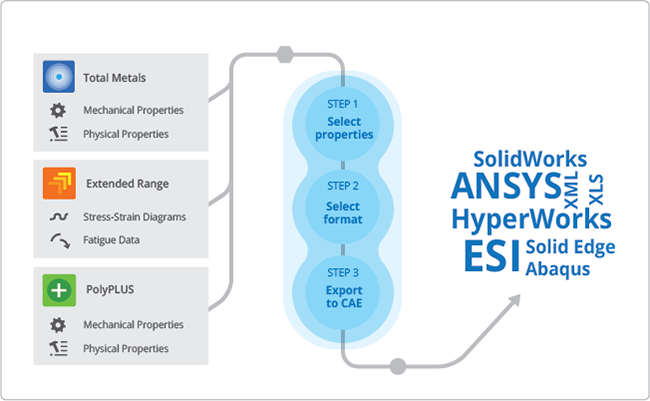 Total Materia’s eXporter module works seamlessly with Total Metals and Extended Range data modules to allow properties information to be exported in a format especially developed for the top CAE solvers. Total Materia offers the world’s largest material properties resource and it is now possible to select data from a collection of over 450,000 materials and 20,000,000 property records, and then export ready for use in the next step of the design process. 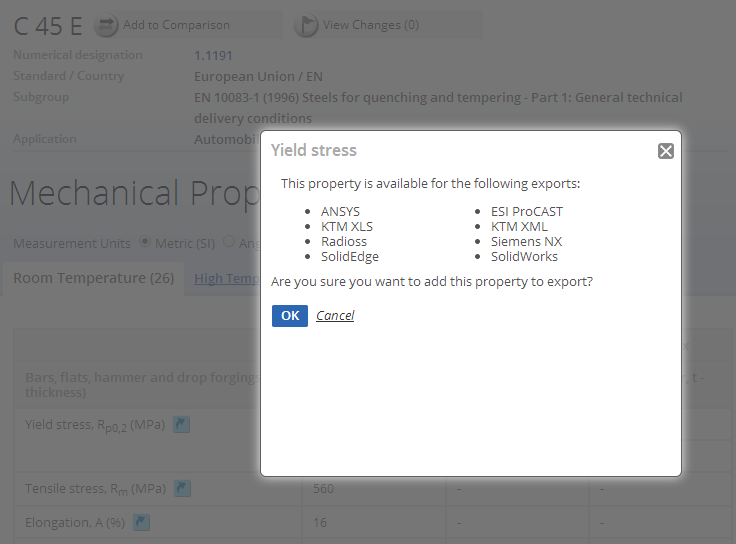 eXporter can be used to export critical material data for advanced calculations such as mechanical, physical, stress strain and cyclic data in a number of CAE software compatible formats. From bespoke xml., to simple xls. 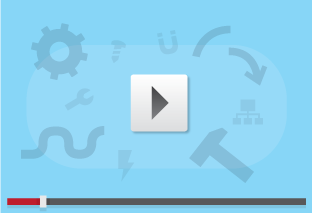 eXporter makes the transit of data from source to software quick and easy. Maximizing the potential of eXporter, the entire Total Metals and Extended Range data sets can be used to find the properties of interest. With full access to the largest international cross-reference tables and comparison functionalities, the full power of Total Materia can be utilized to ensure the selection of data for export is backed up by informed and traceable decisions.